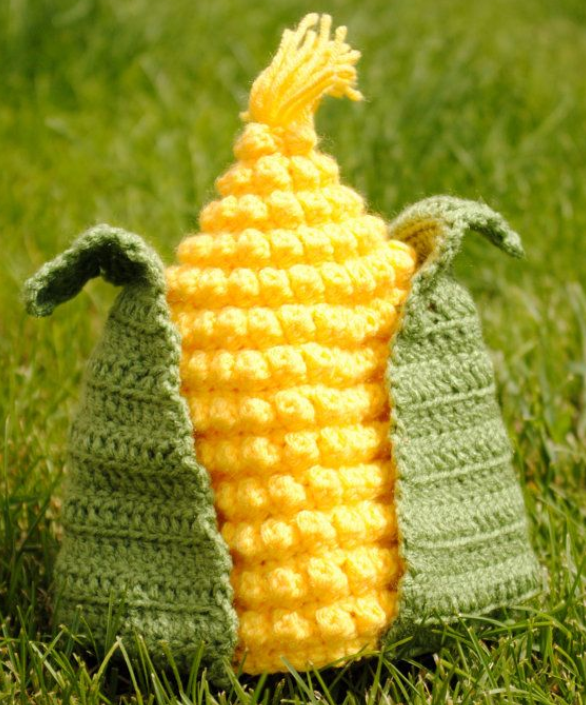 Gives a whole new meaning to the MidWestern saying “cute as a corn”! You can just “pop” this on the head of a kiddo and they’d be the ” kernel” of adorableness! They could “stalk” about proudly! Hehehe. Ok. I’m done now. You can buy this pattern Etsy if so inclined. Totally worth it I’d say. This entry was posted in Uncategorized and tagged corn, crafts, crochet, crochet hat pattern, cute, etsy, handmade. Bookmark the permalink. ← Knitting on Your Mind?